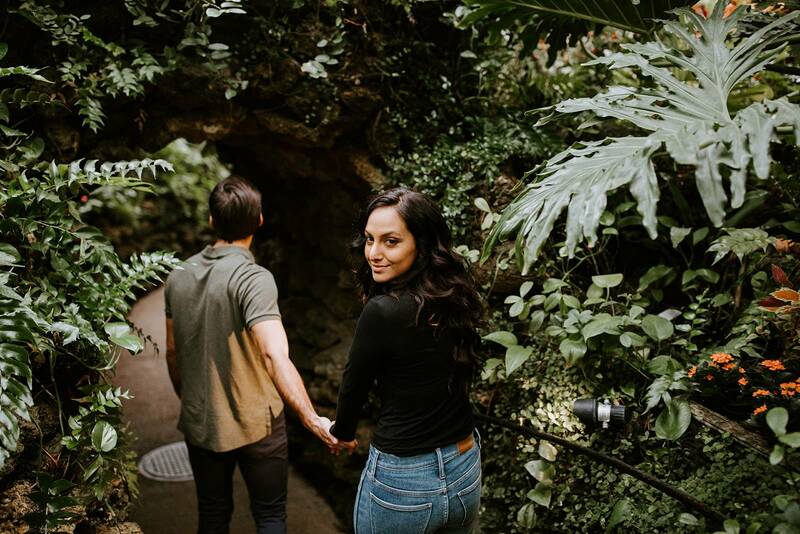 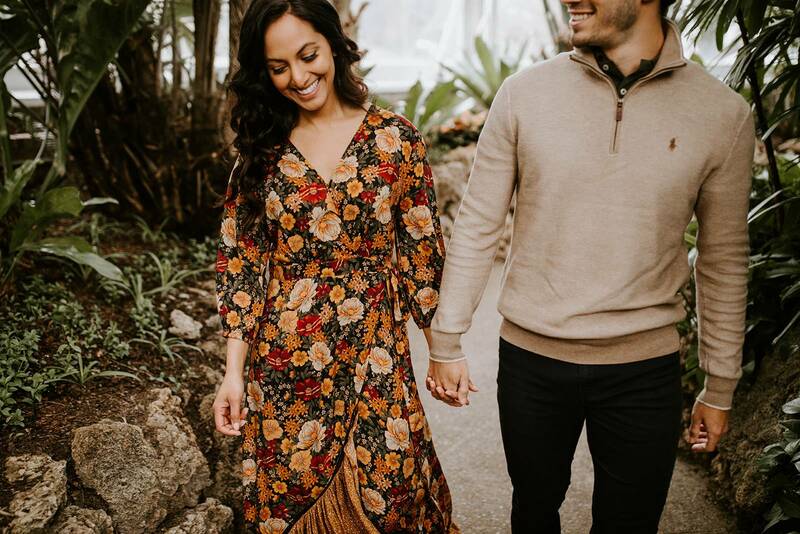 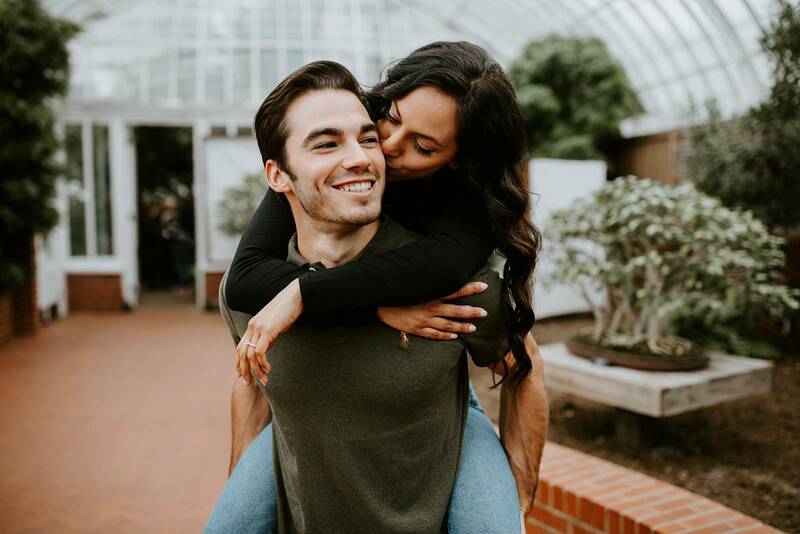 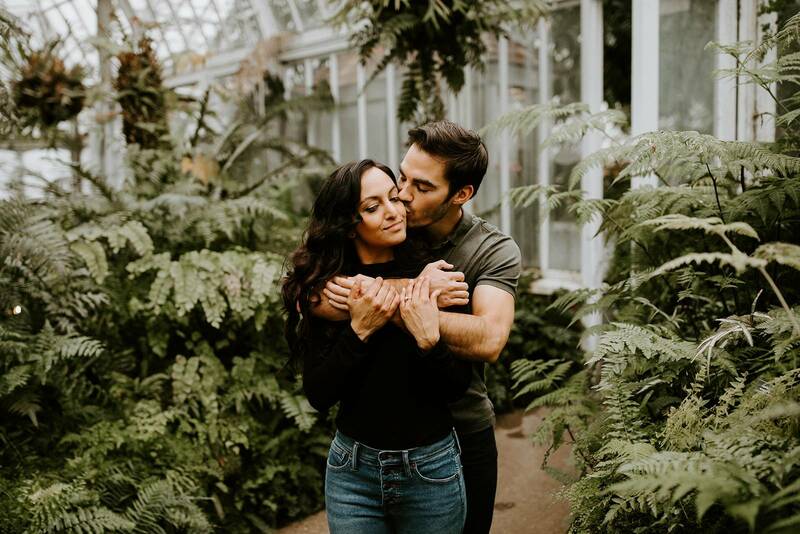 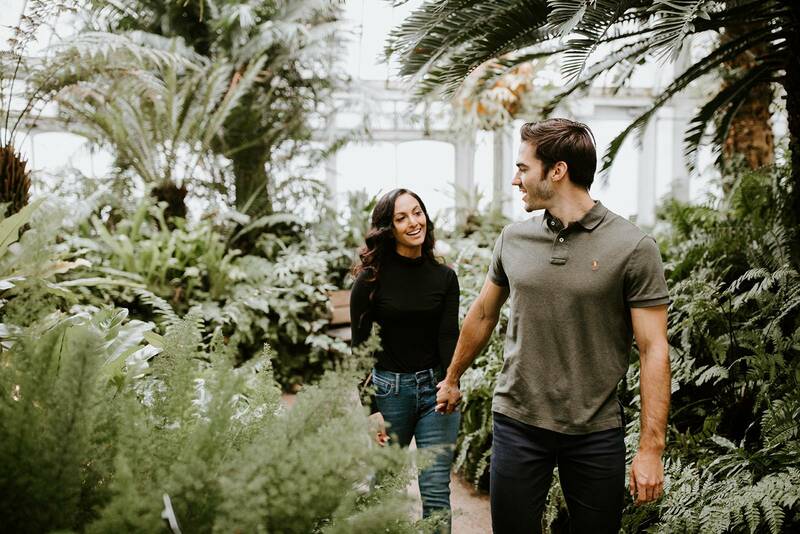 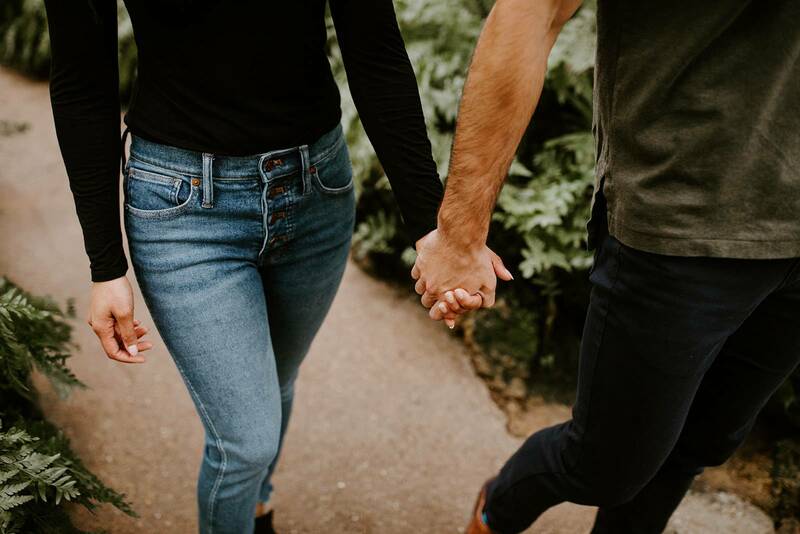 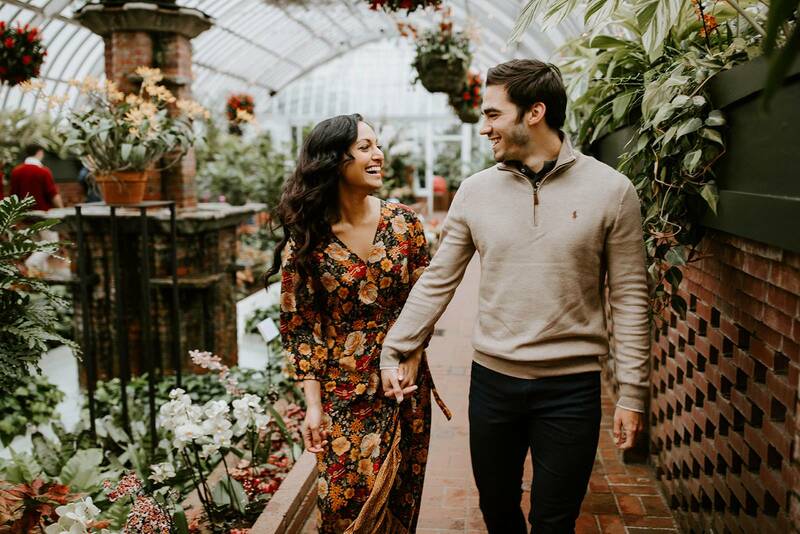 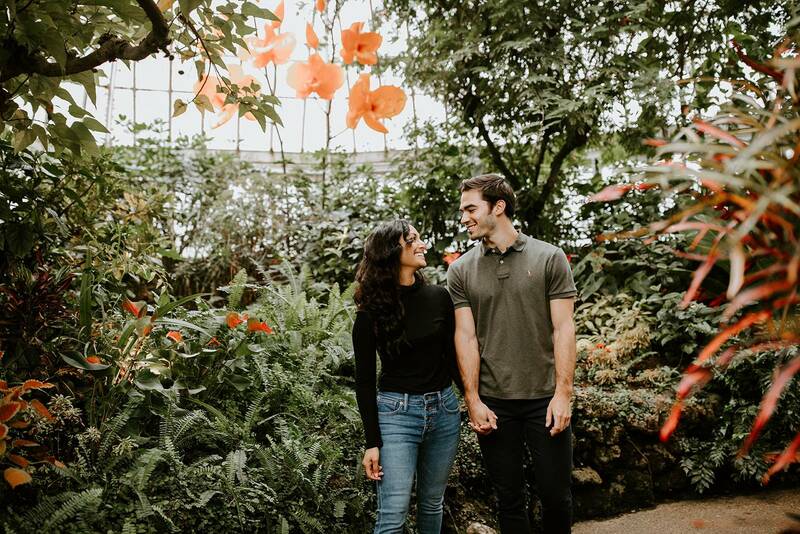 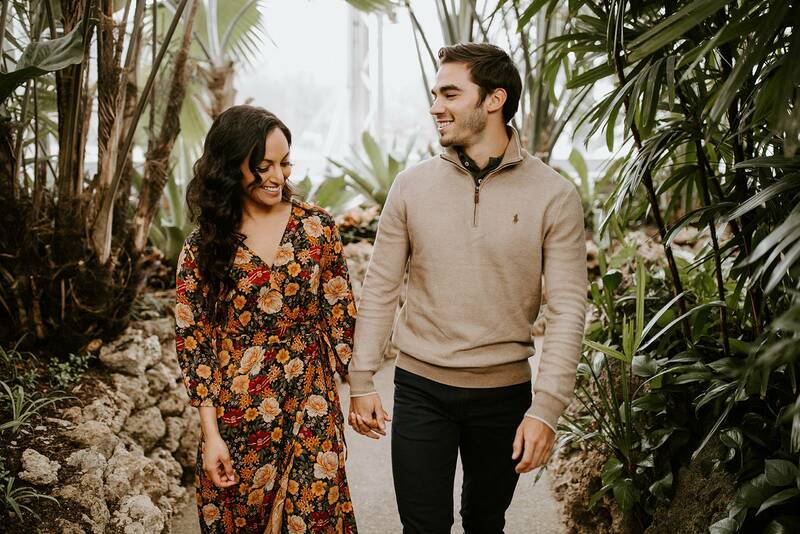 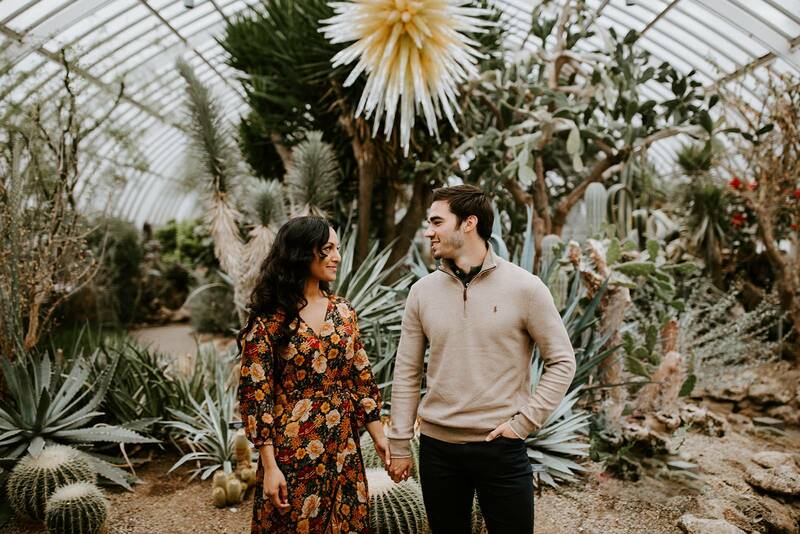 Reeba & Asa's Phipps Conservatory engagement session is definitely one of my favorite Phipp's sessions that I've ever done. 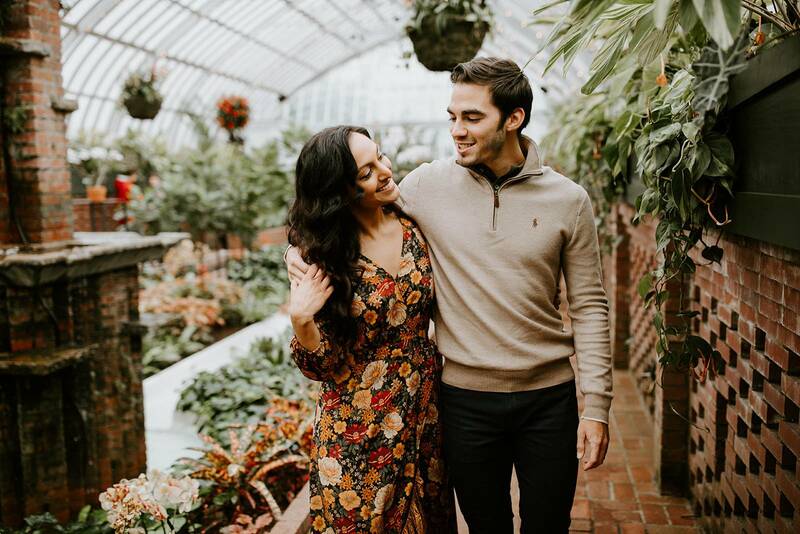 If you're from Pittsburgh, then you definitely know what Phipps is, but if you're not then let me explain a little for you. 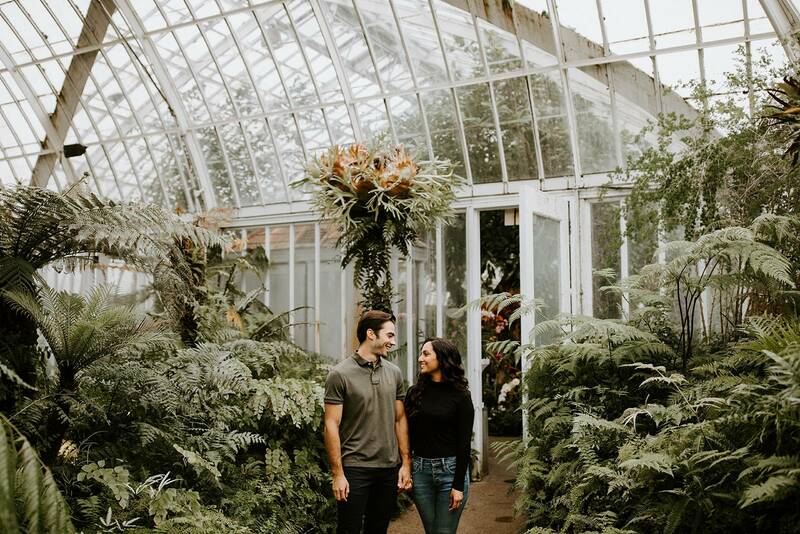 Phipps Conservatory is one of Pittsburgh's gems right in Oakland where most of the city's universities are. 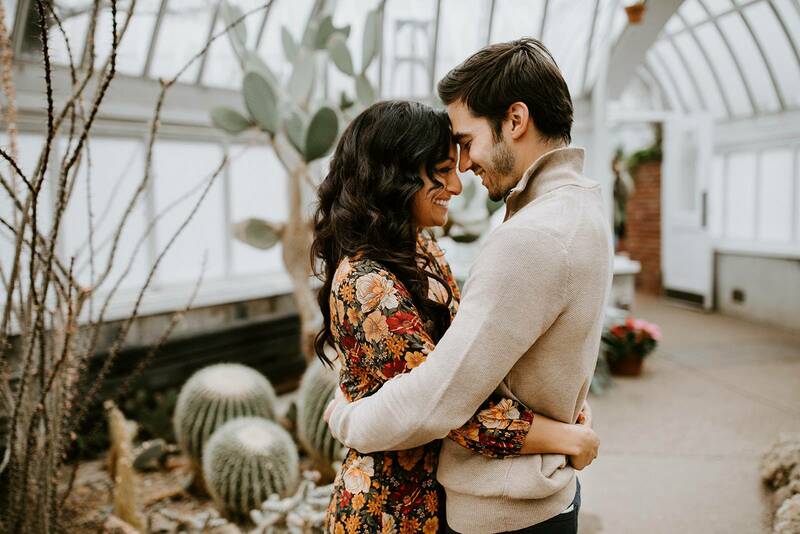 It's really similar to other conservatories that you may have seen, but it's a haven here in Pittsburgh for photographers when the weather is being particularly Pittsburgh-y (rain, cold, snow, wind). 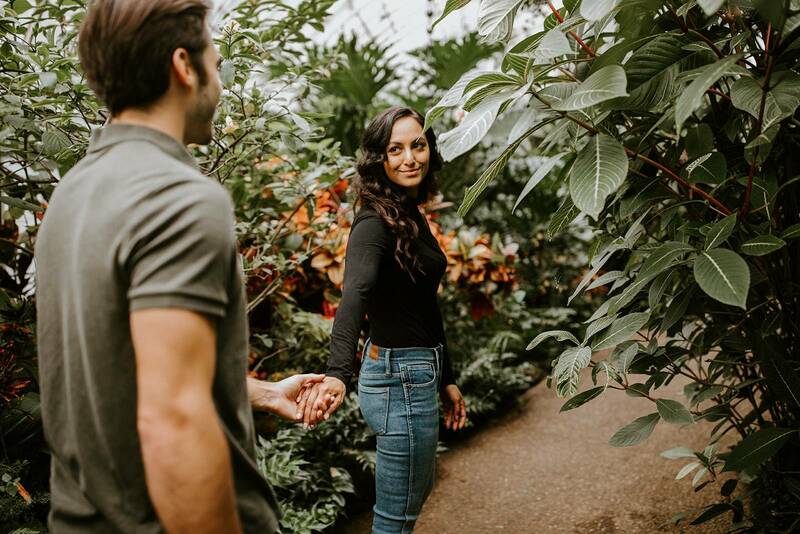 Reeba, Asa and I met up at Phipps and headed in to the beautiful plant-lover's dream space to take photos, and MAN did they rock it! 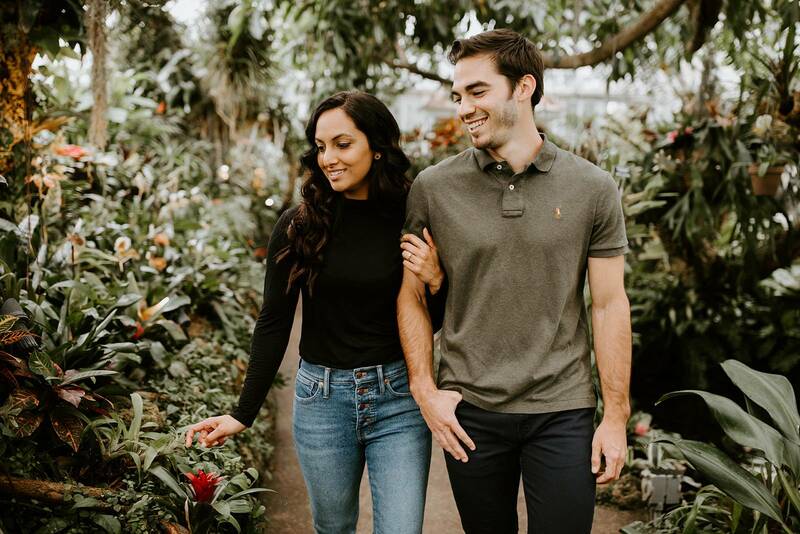 These two are basically models in front of the camera and we really had a wonderful time. 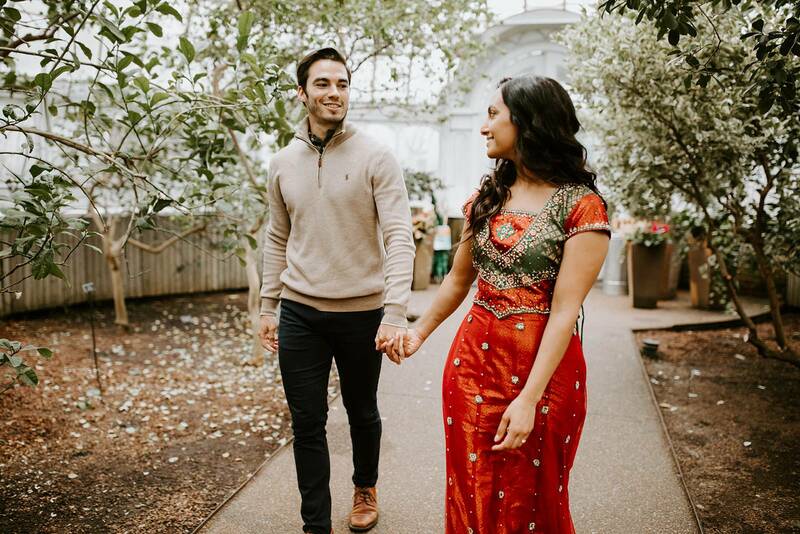 We did quite a few outfit changes, and I was so excited that Reeba brought one of her traditional Indian outfits to take some photos in. 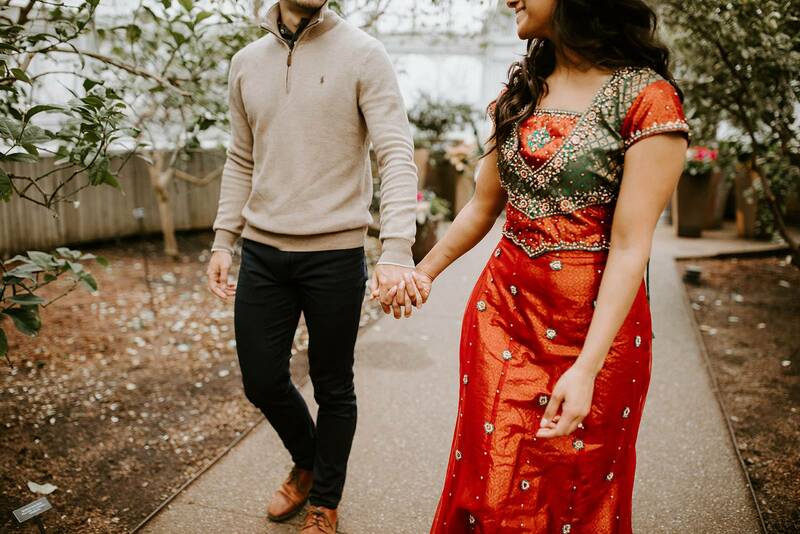 The colors, detail, and beading on it were just beautiful and it went so well with the dark green leaves of Phipp's Indian forest exhibit. 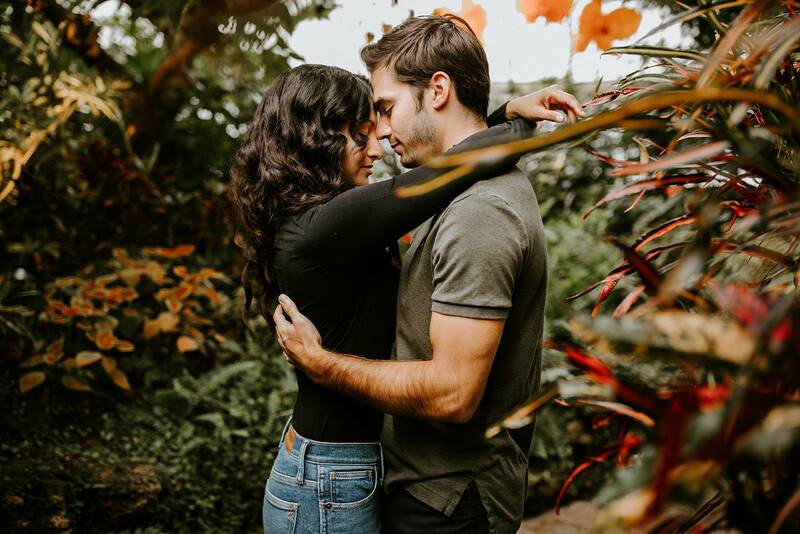 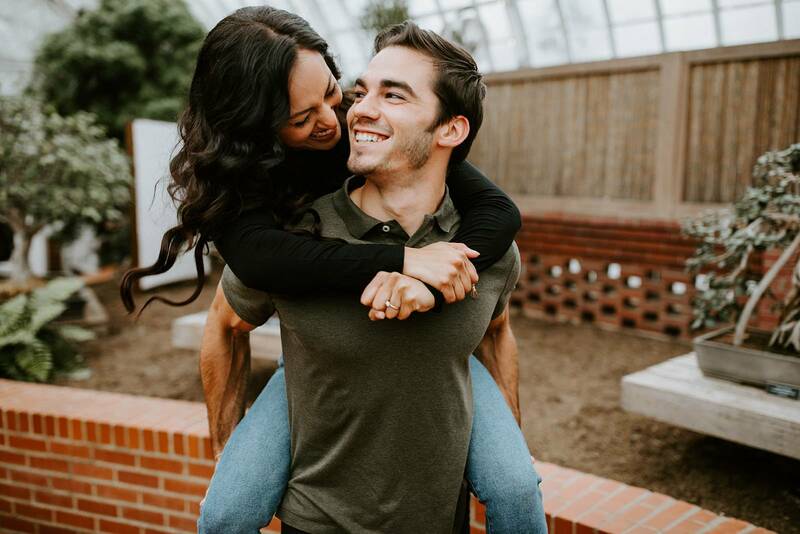 These two are amazing, and I can't wait to photograph their wedding this summer!